For everyone, their parents occupy a very special place in their hearts. This is the place usually referred to as unconditional love. Sometimes, as children, people do not express their love and respect, or appreciation to their parents as often as others, but it is known, that the love will always be there. Nevertheless, any small reminder of your love and appreciation is enough for your parents, to double their joy and pride, and widen the smiles on their faces! Knowing and having spent the bigger part of lives with your parents, you will know better about their likes and dislikes, about how they like to spend their anniversaries. This day will definitely mean a lot more to them than to you. So, the first good step of making their anniversary special for them is to let them have their way. Throw them an Anniversary party, shower them with your love and gifts, of course, but also let them be with each other, as you will know by now as adults, that it is foremost, their day. Anniversaries celebrate a couple’s togetherness since the day they got married. A lot of couples like spending their anniversaries quietly with their families or their significant other, thanking the almighty and each other for the time they spent beside each other, for helping them fare through their troubled times with patience and devotion. When it comes to celebrating your parents’ anniversary, they might want a quiet affair, which might even be a tradition. As their child, do your bit. 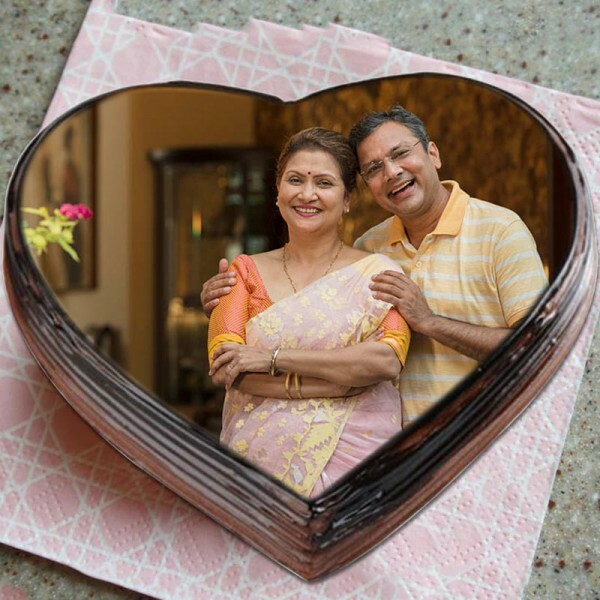 Get wonderful anniversary gifts for your parents, and join them as it is not just their togetherness that is being celebrated, they are celebrating you as well. An Extravagant Anniversary Party: Here are 7 Ways for How to do it right. Firstly, you will have to plan a great party, one that your parents will be comfortable with. In this regard, you can consult your siblings or other relatives for help and turn them into a co-planner, as throwing a party needs serious organizational skills and vision, yes, that one will bring in a lot of compliments. Or criticism?! Well, here’s great advice. If you are throwing a surprise party, do not just invite anyone you think will make your parents’ happy. You have to create the guest list with utmost care, inviting only those people who will add more fun to your party. Nothing says celebration like a grand party themed cake! While planning the party, make sure you do not miss to get your parents a wonderful cake, that will be loved and blessed by all the guests present at the party… and make sure you get it from someplace between pretty and yummy! Anniversary Gifts for your Parents are essential. To express any kind of love, there really is no better way than going big with your gifts. Get creative, get personal with endless choices of gifts available online that can be personalized as you like. Frame their wedding pictures, or frame pictures of them together from your childhood. At this point, any gesture of you showering your love for them will mean the world to them. Write down your feelings and sentiments and speak up whenever you get the opportunity. Your parents are ageing, and anything you have to tell them, you should and they will want to hear. Today is the day, their stress levels will be probably low and you will have them all ears. Make sure, there is an endless flow of songs that are most commonly loved and enjoyed wholesomely, especially the ones that you know your parents love the most. All your guests will enjoy this just as much. While planning the party venue also make sure you leave enough space for a dance floor, and you might get lucky. Make and share a video or slide show of your family’s old pictures and video recordings to take them down the Memory Lane and remind them you remember everything and will always love them nonetheless!